Enhance your operations with Code’s CR1500 and CR5000! Featuring high- speed scanning both 1D and 2D (QR codes) barcodes, you can get more for your applications and improve efficiency in your workflow. No more wasting time to re-scan the barcodes over and over agian. The Code CR1500 reads the barcode the first time, every time. Capable of scanning all standard 1D and 2D barcodes out of the box, it also comes with the option validation parsing that allows identity authentication. The CR1500 barcode scanner is the optimal healthcare companion for all clinicians, nurses, and other healthcare providers. Designed for fast-paced environments, the Code CR5000 presentation scanner keeps your line and data moving. 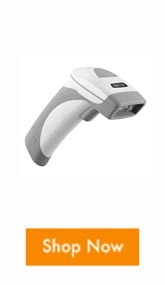 Similar to the CR1500, this convenient and cost-effective scanner for retail is capable of scanning both 1D and 2D barcodes. From products to mobile screens, it’s capable of reading barcodes on any surface. The CR5000 features image capture technology that allows users to scan mobile coupons, tickets, loyalty cards, and customizable driver license formatting can integrate information on loyalty forms, credit card applications, and more. Furthermore, high- speed omni-directional reading and hands free operation allows scanning of the barcode from any direction without twisting and turning the device. The CR5000 is a multi- purpose barcode reading solution that will enhance store operations and add workflow efficiency. Promo: Trade in your old scanners today! Right now if you turn in any Code or competitors scanners, you can receive $25 for every new CR1500. * The physical condition doesn’t matter so gather your outdated and damaged devices and trade in to a new Code CR1500! Contact us and find out how you can get this rebate! Do more with your scanners, contact us if you have any questions on a retail or hospitality scanning and we can create a solution that’s tailored to your need. *One trade in reader + one purchased reader = rebate. Trade in readers are returned through Code’s RMA process. Offer cannot be combined with any other promotion or discounted pricing. Promotion subject to change at any time. Offer valid in the US. End User Promotion. Promotion ends March 30, 2019. Zebra has just announced the release of the DS8100 and DS2200 series handheld 2D scanners at NRF 2017 while showcasing additional solutions that help retailers improve productivity and enhance the customer experience. These new 2D scanners enable retailers to quickly and easily scan virtually any barcode on merchandise, coupons and loyalty cards to provide a faster, more personalized checkout experience. The high-performance DS8100 instantly captures the most problematic barcodes including dense, poorly printed, dirty or damaged, as well as electronic barcodes on dimly lit displays. The DS8100’s superior scanning range enables cashiers to easily scan items in customers’ shopping carts without leaving the register. Detailed DS8100 scanning performance and battery health metrics simplify spotting and correcting issues before they impact employee productivity and customer service. The cost-effective DS2200 series enables small- and medium-sized businesses to upgrade to the latest 2D technology at a price comparable to 1D scanners. Ready to use out of the box, the DS2200 series is easy to deploy, use and manage. Datalogic has announced the release of the PowerScan 9500 Retail series (PD9500-RT, PM9500-RT, PBT9500-RT) based on the industry-leading PowerScan family. These new scanner series brings unique features to the Retail industry. 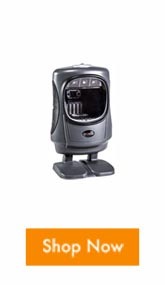 The rugged mechanics of the PowerScan Retail Series delivers reliable long-term operation in retail applications. Repeated shocks at the POS checkout do not affect the scanner’s performance or reliability, protecting the retailer’s investment. Cell Touch is an authorized dealer for MetroPCS across Louisiana, Alabama, Mississippi, and Florida. They reached out to Barcodes, Inc. because they were having complications with their existing barcode scanners, which had sub-par scanning performance and consistently broke on-site. Cell Touch wanted a barcode scanner that wouldn’t require the clerks at their retail locations to scan multiple times to get a good read and something that was capable of providing good-read feedback. Additionally, they wanted a hands-free solution that allowed their clerks to simply wave the barcode across the line of sight instead of having to manually pick up the barcode scanner to scan. 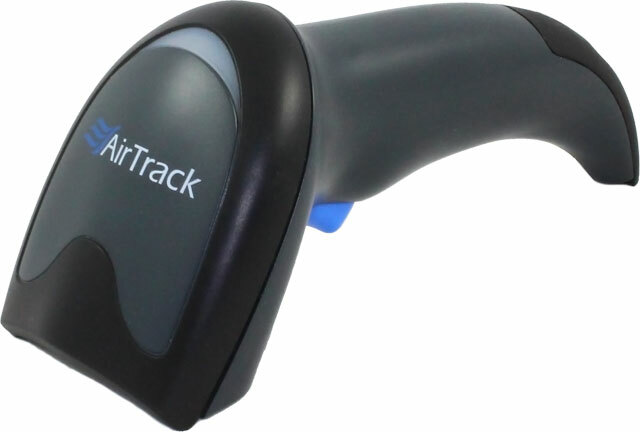 Barcodes, Inc. recommended the AirTrack S1 for Cell Touch’s retail point of sale locations. The S1 is a small, lightweight, and ergonomic barcode scanner that comes equipped with Green Spot technology for good-read feedback. 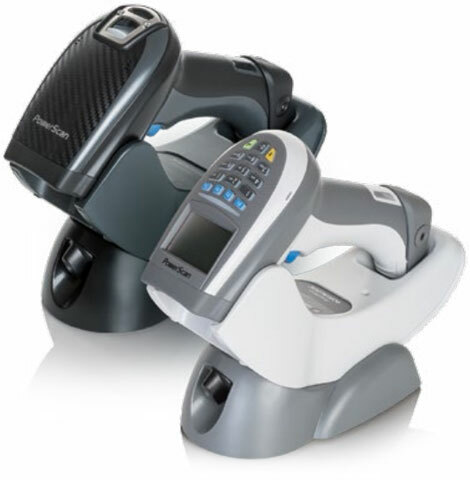 The AirTrack barcode scanner is also available with a gooseneck stand that offers a flexible and hands-free scanning solution at the point of sale. Barcodes worked with Cell Touch to test out the S1 at 15 of their retail locations. Upon receiving positive feedback from the individual stores’ employees they moved forward with launching AirTrack as their scanning brand of choice. Cell Touch is expanding into new locations and Barcodes, Inc. will continue to be their trusted data capture advisor. For more information on the AirTrack line or to learn more about our point of sale solutions, please contact one of our representatives. Leading the way in retail checkout scanning, the Datalogic Magellan 9800i is the world’s first in-counter barcode scanner driven completely by high performance digital imaging, resulting in the ability to increase checkout performance in the world’s busiest checkout environments. Compared to traditional laser based in-counter scanner/scales, the 9800i greatly improves checkout speeds but also opens new interactions with a customer facing imager to easily scan digital coupons from smartphone screens and traditional paper/card based coupons.